Sure, everybody knows by now how Vancouver is the ideal city to ski, cycle and swim in just one day. The promise of a diversity of activities and people makes it the perfect city to learn English in, right? Beach parties during the warm Vancouver summer; skiing during the mild winters. Although, one arriving mid December might just look at this promise with crooked eyes. Imagine arriving on a short and rainy December day. The cold winds that are rolling in from the sea make you shiver and longing home. What is so great about this grey city? The bars are nice, the people super friendly, but… That sky. Where is the sun? What drives this sun-avoiding creature calling himself Vancouverite? Now, with the first days of spring on our doorstep, all clarifies rapidly. With the grey sky changing to blue, we clearly see why we love what we do here. When walking around the English bay, the cutting wind has made way for a gently breeze that makes your hair dance a little. 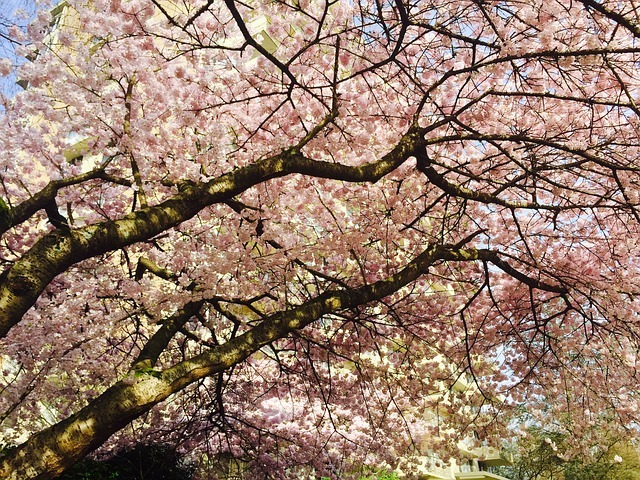 It carries the smell of the fresh blossoms whose colours decorate the city’s parks in a most beautiful way. This is a promise delivered. now you’re picking the fruits. There is beauty in every season in Vancouver. Isn’t it a joy to be part of it? EC Vancouver English Centre, will be here every season!